The Event Bear for 2018 is simply delightful! She is sewn from the finest white Schulte mohair. She is fully jointed and measures 8 inches tall. Her cheerful expression is sure to win you over! 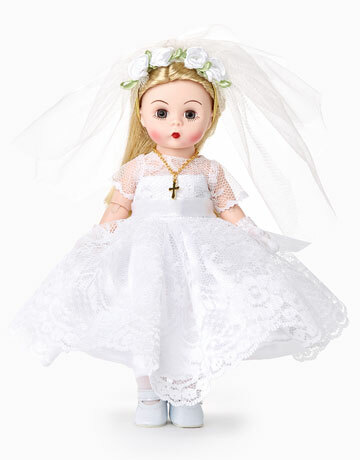 She features a hand-stitched nose and friendly brown eyes. 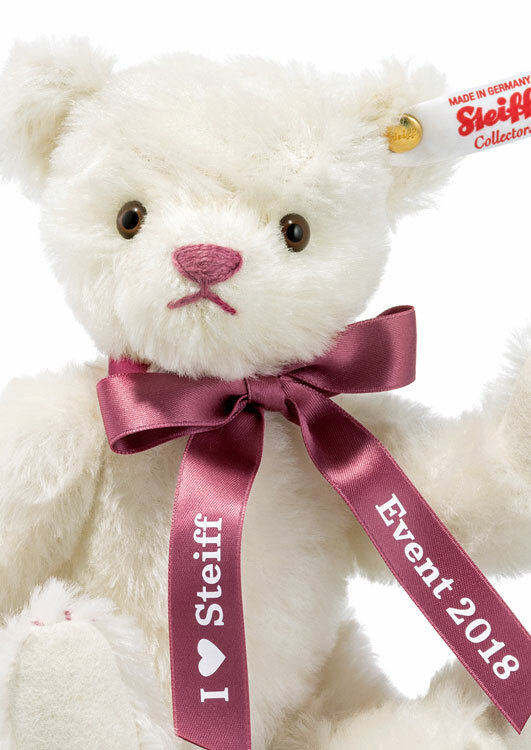 For a sweet touch, she wears a satin bow that says I HEART Steiff Event 2018. 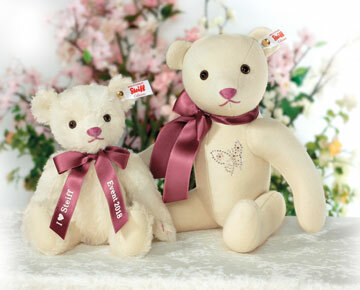 You must be a Club member to purchase this bear! Features the iconic Steiff gold-plated button-in-ear. 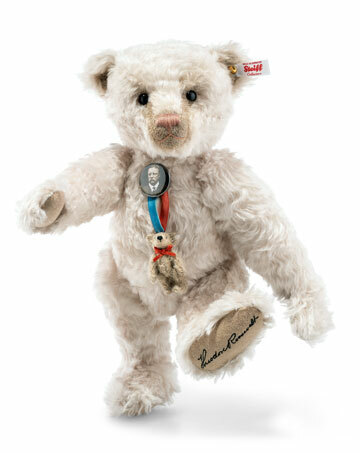 Production of the 2018 Event Teddy Bear EAN 421488 is limited to the year 2018. 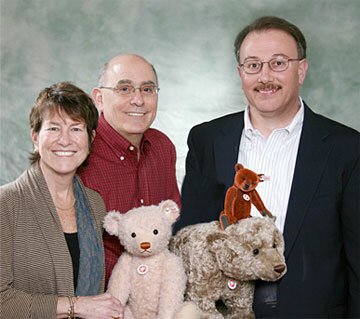 Part of the 2018 Steiff Club. Please note: Club Annual Edition Bear sold separately.